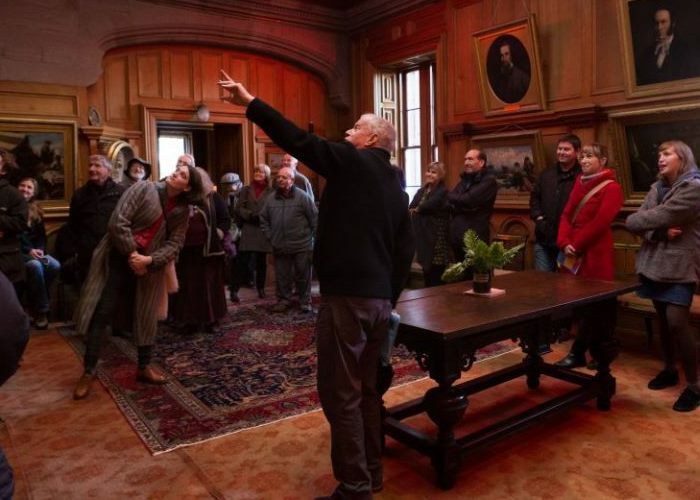 Guided tours of Hospitalfield House, Arbroath, the first Wednesday of the month. Hospitalfield House opens its doors to the public for guided tours every Wednesday between April and September. Led by one of our very well informed guides, these tours are an opportunity for an intimate, un-rushed, historic tour of the house it’s architecture, gardens, collections and interiors. Weather permitting the tour will start in the gardens so please wear appropriate clothing. Tours include tea, coffee and freshly made cake in the kitchen after the tour. Guided tours of Hospitalfield House, Arbroath, the first Wednesday of the month between October and March. £9 per person (includes tea, coffee and cake).